Due to the benefits of the Internet, social media and advertising in today's global economy, consumers around the world are aware of products irrespective of where they are produced. Numerous products are traded globally. For this reason, companies no longer produce goods exclusively for their home markets; rather, they increasingly acknowledge the opportunities of globalisation. Goods are transported across the globe using, for example, container carriers. Large, centrally located airports and strategically positioned ports serve as important international hubs for incoming cargo ships and aircraft. At the hubs freight is reloaded and redistributed for transport to final destinations around the world. Such port and airport hubs are also the centralised point of entry for goods onto the regional markets. Goods entering the hub are offloaded and transported locally or regionally using, for example, trucks, rail or inland waterways. 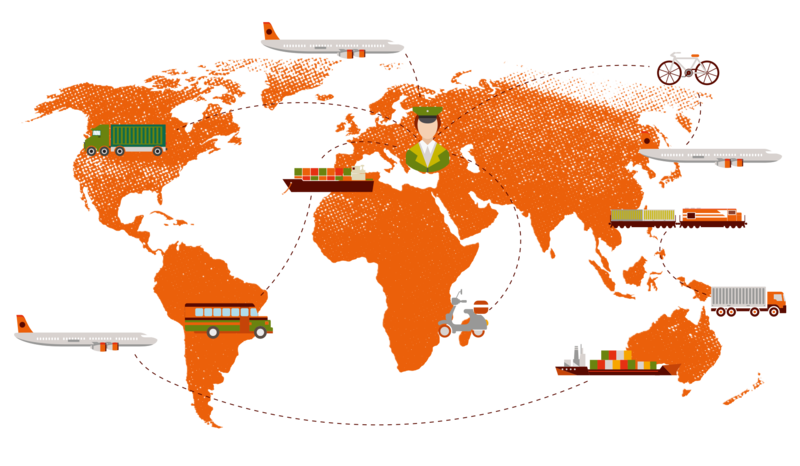 Benefits of the globalized consumer market are evident to companies with an international focus. Opportunities for increased sales and profit by trading in a globalized world are appealing and readily adapted to. Unfortunately, the upside of globalization is also acknowledged by companies involved in unfair trade activities such as counterfeiting, piracy, parallel import and trading patent right-infringing products, semi-finished products and raw materials. Unlawful acts are applied in order to obtain a piece of the cake. Conquering the threat of unfair trade requires a stringent and international IP rights strategy. In order to protect important markets abroad, enforceable patent rights are vital. In Europe, patents should be applied for in economically important countries such as Germany, France and the Netherlands. Often foreign companies choose to apply for a European bundle patent. A European patent can be applied for directly or during the national or regional phase of an international application under the Patent Cooperation Treaty (PCT). In many European countries, a national application can be applied for on the basis of a PCT application, although in some – including France, Belgium and the Netherlands – this national PCT route is closed. However, in the Netherlands, there is debate over reopening this PCT route. It is possible to request national patents in these countries within the priority year based on the Paris Convention. After grant, a European patent becomes a national patent in the EU member states for which the patent holder has applied. As outlined below, in many cases it is recommended to choose the Netherlands to validate a European bundle patent, in addition to validating the patent in a country such as Germany, the United Kingdom, Poland, Italy, Spain or France. As the Netherlands is an important gateway for products into Europe, obtaining patent protection in the Netherlands may offer a company a way to prevent infringing products entering the European market. In addition, trademark protection in the Netherlands can be equally important. The possibility to apply for border detention on the basis of patent and trademark rights is a valuable tool. For countries of the European Union, customs seizures are available through the Regulation on Customs Enforcement of Intellectual Property Rights with No° 608/2013. The Port of Rotterdam in the Netherlands is the European Union’s number 1 sea harbor entrance for goods. For example, in 2014 cargo throughput in containers was 126 million metric tons. In addition, Schiphol Airport Amsterdam is one of the largest cargo hubs in Europe. This provides the opportunity of a central start of enforcement of your patent or trademark rights in Europe by a single action in the Netherlands. Intercepting infringing goods directly upon entrance into the EU already at the Dutch hub in Amsterdam (airfreight) or in Rotterdam (containers) can effectively prevent said goods from entering other European Union member states. Dutch Customs is renowned for its willingness to help companies to protect their commercial positions in the European Union and to proactively support the enforcement of patent rights in the Netherlands and across Europe. In order for Customs to help, a company must have an enforceable IP right (eg, a patent or trademark) in the Netherlands and must submit an application for customs action to Customs. This application requests Customs to take action where a suspicion exists that an IP right is likely to be infringed on the entry of specified goods into the Netherlands. Although Customs may act ex officio, in 2014 98.3% of IP rights enforced by Customs related to applications requesting customs action. Although Customs cannot check all cargo, it can work with rights holders and their attorneys to increase the chances of success. Once infringing goods have been detained at the Dutch border, the goods are prevented from further distribution across Europe. The customs action must be followed by proceedings on the merits. If infringing goods are not stopped by Customs, they may be distributed throughout Europe and the rights holder may have to start legal proceedings in several different EU member states, which can be time consuming and costly. Thus, customs actions in the Netherlands can be effective and save both time and money. Although the Port of Rotterdam and Schiphol Airport Amsterdam are by far the largest cargo hubs in the Netherlands, once you have an enforceable patent right in the Netherlands, goods entering the Netherlands through any of the smaller airports or sea harbors are subject to customs action as well, once an application for customs action has been granted. In the Netherlands, other cargo airports are Maastricht-Aachen airport, Eindhoven airport, Rotterdam-The Hague airport. Next to the Port of Rotterdam, minor sea harbors in the Netherlands are located in Delfzijl, Eemshaven, Harlingen, Den Helder, Amsterdam, Zaanstad, Velsen Beverwijk, IJmuiden, Scheveningen, Schiedam, Vlaardingen, Maassluis, Dordrecht, Moerdijk and Vlissingen. Of course, similar customs actions are available in Belgium, but a separate application will need to be filed. The port of Antwerp is the number 2 European harbor with regard to handling import of container freight. Other sea harbors in Belgium are located in Gent, Zeebrugge and Oostende. The main airport in Belgium is Zaventem, near Brussels. It appears that, after having been under discussion for decades, the European Patent with Unitary Effect (‘Unitary Patent’; ‘UP’) will come into effect starting from 2017. With a Unitary Patent, the patent holder will have an enforceable patent right in up to 24 member states of the European Union. In principle, this allows for an easier patenting strategy with regard to the largest economies of Europe. With the Unitary Patent, the patent holder will automatically have a patent right in, amongst others, Germany, Belgium, France and the Netherlands. This will make patent enforcement in Europe more straight-forward, also with respect to customs actions. Another opportunity for a patent or trademark holder in the Netherlands is to submit an application for levying a seizure for the surrender of infringing goods with the Provisions Judge of the competent District Court. Such request is usually handled ex parte (i.e. without the alleged infringer being heard). A seizure for the surrender of infringing goods is conducted by a bailiff and takes place at the premises of the infringer or anywhere else where the infringing goods may be located, such as a warehouse. A seizure for the surrender of infringing goods must be followed-up by proceedings on the merits. In the Netherlands, it is possible for IP owners to levy an evidentiary seizure under a suspected infringer or a third party in order to safeguard evidence in relation to the infringement. Evidentiary seizures are conducted by a bailiff, usually assisted by an independent patent attorney and IT experts. Seized evidence is placed in custody and access can be claimed in follow-up proceedings. Evidentiary seizures may even be based on foreign patents (such as foreign parts of a European patent) in order to obtain evidence of infringement in other countries. The legal system in the Netherlands also provides the advantage of the availability of cross-border measures in preliminary relief proceedings with regard to patent infringements. The Provisions Judge of the District Court of The Hague is competent to grant cross-border preliminary injunctions (i.e. preliminary injunctions also covering other countries than the Netherlands) against defendants domiciled in the Netherlands (Court of Justice of the European Union 12 July 2012, C-616/10, ECLI:EU:C:2012:445, (Solvay/Honeywell). This includes not only companies with head offices in the Netherlands, but also local Dutch entities of international companies. The Provisions Judge may also grant cross-border injunctions against foreign entities provided that a Dutch infringer is also involved and it concerns infringement of (national parts of) the same European patent in multiple member states with the same infringing product (Court of Appeal of The Hague 24 November 2015, ECLI:NL:GHDHA:2015:3923 (Rhodia/Jiaxing). The Provisions Judge may not only grant cross-border injunctions on the basis of European patents, but also on the basis of non-European patents, such as US and Japanese patents (Provisions Judge of the District Court of The Hague 7 December 2012, IEF 12106 (Delaval/Boumatic). The Dutch legal system provides patent and trademark holders with various efficient and cost-saving opportunities to act against infringements, including customs actions, seizures and cross-border injunction claims. These measures provide companies with very valuable tools for efficiently protecting their intellectual property in Europe. It is therefore advisable for internationally active companies to establish patent and trademark rights in the Netherlands in order to be able to make full use of these possibilities. The basic principle of most continental countries in the European Union is that trademark protection is acquired through registration. However, the Paris Convention for the Protection of Industrial Property provides protection for unregistered trademarks, even when they are not used in certain territories, provided that they are well known. This protection is rarely invoked in the European Union – perhaps because continental countries are unfamiliar with the concept of awarding protection without registration, especially for unused trademarks. The website of the Benelux Office of Intellectual Property (BOIP), for instance, mentions that although it is possible to base an opposition on a well-known trademark, these trademarks are rare in Benelux. The trademark must be “very well-known”; having a simple reputation will not suffice. Hence, the protection of well-known trademarks seems to fail in continental Europe, where it is unthinkable that a well-known trademark could not have been registered in the European Union. This chapter analyses the possibilities of invoking well-known trademark protection during administrative proceedings and the benefits of doing so in specific circumstances. The principle of well-known trademarks is based on Article 6bis of the Paris Convention, which mandates signatory states “to refuse or to cancel the registration, and to prohibit the use, of a trademark which constitutes a reproduction, an imitation, or a translation, liable to create confusion, of a mark considered by the competent authority of the country of registration or use to be well-known in that country as being already the mark of a person entitled to the benefits of [the Paris Convention] and used for identical or similar goods”. EU Directive 2015/2436/EC and the EU Community Trademark Regulation (207/2009) recognise well-known trademarks as relative grounds for refusal – namely, as grounds for opposition. Hence, Article 8(2)(c) of the EU Community Trademark Regulation and Article 5(2)(d) of EU Directive 2015/2436/EC allow opposition based on trademarks which “are well known in a Member State, in the sense in which the words ‘well known’ are used in Article 6bis of the Paris Convention”. These articles create the possibility of filing an opposition against a trademark application in the European Union, based on a well-known trademark. However, the conditions under which well-known trademark status is recognised remain uncertain. Official guidelines have been drafted regarding the assessment of well-known trademark status, based on which a trademark can be considered ‘well known’ if it is well known among the relevant public, based on the circumstances of the case. Interestingly, the same recommendation of the World Intellectual Property Organisation (WIPO) mentions that where a mark is well known in at least one relevant sector of the public in a member state, it “shall” be considered by the member state to be a well-known mark. Also, where a mark is known in at least one relevant sector of the public in a member state, it “may” be considered by the member state to be a well-known mark. The legislation thus leaves the issue of well-known status to the discretion of the competent authority to determine, leaving room for a broad interpretation. Apparently, the EUIPO has taken the position that the term ‘well known’ can be considered as equivalent to the protection provided to trademarks ‘with a reputation’, further to the European Court of Justice (ECJ) Chevy case. In Chevy the ECJ held that “the degree of knowledge required must be considered to be reached when the earlier mark is known by a significant part of the public concerned by the products or services covered by that trademark”; whereas “the public amongst which the earlier trademark must have acquired a reputation is that concerned by that trademark, that is to say, depending on the product or service marketed, either the public at large or a more specialized public, for example traders in a specific sector”. Finally, the ECJ ruled that in Benelux, it is sufficient for the registered trademark to be known by a significant part of the public concerned in a substantial part of the territory (which may consist of part of one of the countries comprising the territory). Thus, in order to invoke protection of unregistered and unused trademarks in opposition proceedings in the European Union, the criteria that must be met are those with respect to trademarks with a reputation in a specific territory. Given the EUIPO’s apparently liberal interpretation regarding what can be considered a well-known trademark, it is interesting to see which trademarks have actually been recognised as such by the EUIPO.  Yellow Label is a brand of champagne produced by Veuve Clicquot Ponsardin that bears a yellow label. Based on this label, Veuve Clicquot Ponsardin brought several successful actions against other parties which used the same colour for their labels, whether for champagne, beer or Italian sparkling wine. Notwithstanding the question of whether the word mark YELLOW LABEL was distinctive in relation to champagne bearing a well-known yellow label, Veuve Clicquot Ponsardin and its affiliated companies held no registration for the word mark YELLOW LABEL for champagne. After noticing that a third party, J E Borie SA, had applied for the word mark THE YELLOW LABEL in the European Union, Veuve Clicquot Ponsardin opposed the application based on the allegedly well-known word mark YELLOW LABEL in the United Kingdom owned by Moët Hennessy Champagne Services (MHCS), the parent company of Veuve Clicquot Ponsardin. several publications and statements evidencing that the subject champagne is commonly referred to as ‘Yellow Label’ in the course of trade. The EUIPO granted well-known status to the YELLOW LABEL trademark in the United Kingdom, subsequently allowing the opposition. Predator is a brand of high-end, multimillionpound luxury boats made by Sunseeker International Limited. After two films in the James Bond franchise featured Predator yachts, the brand received widespread media coverage. Based on the well-known status of the trademark PREDATOR, Sunseeker successfully invalidated the EU registration PREDATOR in relation to luggage carriers for vehicles, vehicle bodies, vehicle seats and speedboats. evidence of a presence at different trade fairs. The EUIPO granted well-known status to the PREDATOR trademark, further noting that “the relevant public is rather narrow and, to prove the well-known character of the mark, it is not necessary to prove the recognition of the mark among the general public; rather, it is sufficient to prove it in relation to target consumers”. a market survey dating back to 1996, showing that Kickers was ranked fourth in the Italian market for children’s shoes. The EUIPO recognised the KICKERS mark as well known in relation to children’s shoes. It admitted that the market survey was quite old and could not independently establish the well-known character of the mark beyond that date. However, in conjunction with the rest of the evidence, the EUIPO accepted that the opponent could maintain the well-known character of the mark in the years before the filing of the contested application. the opposing party forgets to tick a box during opposition proceedings (as with KICKERS). Article 6bis of the Paris Convention can provide valuable ammunition in administrative and litigation proceedings. For instance, when invoking trademarks with a high level of descriptiveness or that may not have been genuinely used, invoking Article 6bis of the Paris Convention as a subsidiary ground is essential. Even if the other party invalidates the invoked registered trademark or the proof of use is deemed insufficient in terms of the goods or services invoked, provided that the reputation or well-known status of the trademark in relation to the specific part of the public can be proven, the opposition or litigation can succeed. This way, the strict criteria for “acquiring distinctive character through use” (in case of lack of distinctive character) and “genuine use” (in case of limited proof of use) can be avoided by proving the reputation/well-known status of the trademark in the specific sector and the knowledge of the specific public. Practice shows that it is very difficult, if not impossible, to protect non-traditional trademarks (eg, three-dimensional, shape, sound and olfactory marks) through registration. Case law indicates that the distinctiveness of non-traditional trademarks is not subject to stricter assessment; but in view of the perception of the public, it can be harder to prove distinctive character. These cases have precipitated a complex academic discussion regarding non-traditional marks, which has resulted in high and almost incomprehensible criteria for registration. Simply put, it is impossible to register non-traditional trademarks unless they meet distinctiveness criteria which are, in practice, unfeasibly strict. Considering that Article 6bis of the Paris Convention supersedes the criteria for registration and use, an appeal to Article 6bis of the Paris Convention could be a solution with respect to non-traditional marks. If the reputation or well-known status of a non-traditional trademark can be proven under the above criteria, a successful claim on Article 6bis is available. It will be interesting to see whether the EUIPO will maintain its liberal interpretation with respect to the recognition of non-traditional trademarks. Contrary to the continental perception of registration, well-known trademark status can be invaluable in adversarial proceedings. EU case law suggests that the threshold for acquiring well-known trademark status is not as high as continental ideology would indicate. In administrative and litigation proceedings, therefore, Article 6bis of the Paris Convention could prove to be a far more valuable tool for rights holders than is presently accepted.